With the realities our schools face today, it’s more important than ever for campuses to have all of their security measures working together. The electronic security systems need to work with each other, of course – but in addition, the school’s human resources must work with the electronic systems in order to minimize security vulnerabilities as much as possible. In the commercial security industry, the term for this collaborative partnership is integration. Integration ensures that everything and everyone is working together toward a common goal: the goal of keeping the campus safe. When it comes to having integrated security solutions, here are some decisions for schools to consider. The chairman of the Senate education committee introduced his own school safety measure on Wednesday. His bill would allow 100,000 public schools to use federal dollars for school counselors, alarm systems, security cameras and crisis intervention training. Whatever end result the government delivers, schools can get proactive now by counting their cameras and determining where more are needed. Of course, a commercial security expert should be consulted as part of the process. Effective integration can only be achieved when everyone is held accountable for their role. This is where staff training comes into play, starting with assigning roles. If an emergency occurs, who will monitor the cameras on the ground? Your security provider will be, but a point of contact on campus should be identified as well. The time to identify this person is not during an emergency. The time to identify this person is now. In fact, every staff member should have a clearly defined role as part of a school’s accountability plan. When everyone has a role they have been trained in, each person can jump into their assigned responsibilities when an emergency happens. As for how staff members integrate with the electronic security systems, that can be done via a mobile app designed to integrate with school surveillance technology. We recommend Ruvna, an app that gives all staff members access to cameras, motion detectors, panic alarms and more. To discuss how your campus can integrate its security solutions for optimal campus security in these turbulent times, contact POM Technologies. 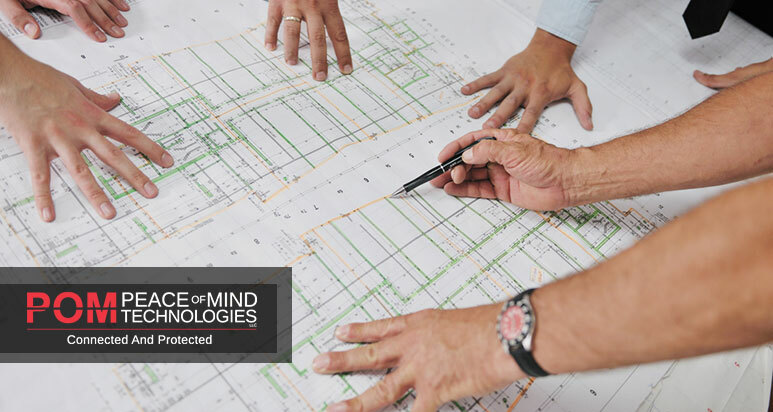 Peace Of Mind Technologies is a New York City security company that has delivered site-specific, cost -effective security solutions to facilities throughout the greater New York Metro area since 2002. We aren’t your average security company. Contact us at (212) 688-2767 or info@pom-tec.com to request a free security analysis.